Our Mission: To provide an enlightened and caring community in which those living with cancer and their loved ones may begin a new life. About Us: Our support group is for residents of Murgon and surrounding areas. We welcome all people who have had cancer or are currently living with cancer. We also welcome their families, their carers and their friends. Meeting Times: We meet at Murgon Uniting Church Hall, 55 Gore St, every Tuesday, from 10 am to 12 noon. 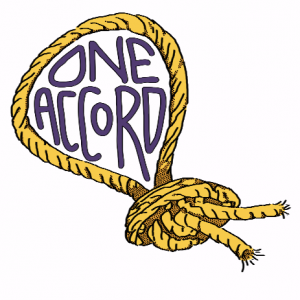 One Accord Cancer Support Group is registered under the Murgon Uniting Church and as such is covered by our insurance. We are committed to respecting all people’s needs. Participants are invited to register so we can keep in touch and that you may benefit from all that One Accord has to offer. No registration fee is payable. Opportunities to support toward our costs are given at each meeting and if you would like to contribute, a gold coin would be very welcome. Our group is run by volunteers and will have continual advice and access to local professionals.